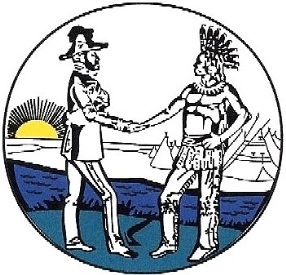 Edmonton Thursday, April 23, 2015, 7 p.m.
With opening remarks from Confederacy of Treaty Six First Nations Grand Chief Bernice Martial and Mayor Don Iveson. With closing remarks by Mark Connolly, host, Edmonton AM (CBC Radio One). Reception following. 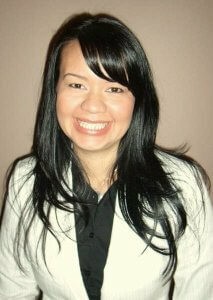 Jessica Bolduc is an Anishinabe kwe from the Batchewana First Nation in Sault Ste. Marie, Ontario. She is the national youth representative for the Congress of Aboriginal Peoples, which advocates for urban off-reserve Indigenous people, and she is the project coordinator for the 4Rs Youth Movement, a coalition of fourteen organizations working with youth to create opportunities for and dialogue between Indigenous and non-Indigenous young people in Canada. She holds a bachelorâs in economics and has been working in community economic development in northern Ontario for the last five years. Douglas Cardinal is a renowned Canadian architect and an advocate for sustainability, green buildings, and ecologically oriented community planning. He has received many national and international awards, including seventeen honorary doctorates, gold medals of architecture in Canada and Russia, and a UNESCO award for best sustainable village. The International Association of Architects named him a World Master of Contemporary Architecture, and he is an officer of the Order of Canada. Lewis Cardinal is the owner of Cardinal Strategic Communications, which specializes in Indigenous education and governance. He was a founding board member of Racism Free Edmonton, vice-president of the John Humphrey Centre for Peace and Human Rights, founder of the Indigenous Peoplesâ Arts and Culture Coalition, founding board member of Alberta Aboriginal Arts, and co chair of the Aboriginal Commission on Human Rights and Justice. Lewis has received the Queen Elizabeth II Diamond Jubilee Medal, the Indspire Award for public service, the Alberta Centennial Medal, and the Distinguished Alumni Award from MacEwan University. Ginger Gosnell-Myers, who is of Nisgaâa and Kwakwakaâwakw heritage, worked from 2008 to 2011 as both project manager and public-engagement director on the Environics Instituteâs Urban Aboriginal Peoples Study, the largest research project on Aboriginal people living in Canadian cites. She later worked as the western assistant to former minister of Indian and northern affairs development Andy Scott, and in 2012, she contributed to the CBC documentary series 8th Fire. Ginger is a 2004 Action Canada fellow, former co-chair to the Assembly of First Nationsâ National Youth Council, and former president of the Urban Native Youth Association; she sits on the board of the Inspirit Foundation; and she is the Aboriginal planner for Vancouver, which she is working to make an official City of Reconciliation. Roberta Jamieson is a Mohawk woman from Six Nations of the Grand River, Ontario. In November 2004, she was appointed president and CEO of Indspire and executive producer of the Indspire Awards, a nationally broadcast gala honouring Indigenous achievement. Roberta led the development of the K-12 Indspire Institute, a virtual resource centre focused on increasing high school completion rates and K-12 success, and in 2013, under her leadership, Indspire launched a $20 million fundraising campaign to support its Building Brighter Futures scholarship program. Roberta was the first Aboriginal woman to earn a law degree in Canada, the first non-parliamentarian appointed an ex-officio member of a House of Commons committee, the first female ombudsman of Ontario, and in December 2001, she became the first woman elected chief of Six Nations of the Grand River. She has received a National Aboriginal Achievement Award and the Council of Ontario Universitiesâ David C. Smith Award, and she is an officer of the Order of Canada. Clayton Kootenay started his career working for his First Nation in 1997 and was later recruited to work as youth program coordinator for Treaty 6. In 1999, he joined Oteenow Employment and Training Society, where he worked as marketing and communications director and youth program coordinator before becoming executive director in 2001. Clayton is currently the MOU team lead of Treaty 6, 7, and 8, and he has served as chairman both of the Alexander First Nation Education Authority and its board. He is an accomplished sculptor and painter, he has a BA in Native studies from the University of Alberta, and he is a graduate of Victoria School of the Arts. Patti LaBoucane-Benson is a Metis woman and the director of research, training, and communication at Native Counselling Services of Alberta. She has a PhD in human ecology, focusing on how healing programs for Aboriginal offenders build resilience in families and communities. She was chosen as an Aboriginal Role Model of Alberta, and she lives in Spruce Grove. Ryan McMahon is an Aboriginal and Native American comedian working in Canada and the United States and a graduate of the Second City Conservatory. In 2012, he released Ryan McMahon UnReserved, making him the first Native comedian to tape a one-hour stand-up comedy special for CBC TV. In July 2012, Ryan made his debut at the Just For Laughs festival in Montreal, where he was included in the eventâs New Faces list. Ryan tours independently, selling out large and small venues, and his live show combines stand-up, improv, sketch comedy, and storytelling into an original style he calls Indian vaudeville. 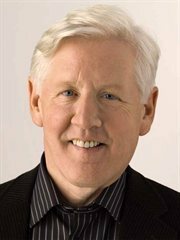 Bob Rae was elected eleven times to the House of Commons and the Ontario legislature between 1978 and 2013. He was Ontarioâs twenty-first premier from 1990 to 1995, and he served as interim leader of the Liberal Party of Canada from 2011 to 2013. He now works as a lawyer, negotiator, mediator, and arbitrator, with a focus on First Nations, Aboriginal, and governance issues. He also teaches at the University of Torontoâs School of Public Policy and Governance and is a widely respected writer and commentator, having authored four books and many studies and reports. Bob is a privy councillor, an officer of the Order of Canada, and a member of the Order of Ontario, and he has numerous awards and honorary degrees from international and Canadian institutions. Mark Connolly is the host of the CBC Radio morning show Edmonton AM. As a teen, he worked as a janitor at CBC Edmonton and later in Fort McMurray, where he was the radio voice of the Fort McMurray Oil Barons in the Alberta Junior Hockey League. 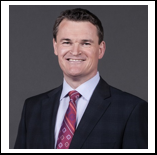 He then worked in Red Deer and Edmonton before starting a weekend job at CBC in 1988, where he became a sportscasters and later a news anchor. In 2014, Mark helped moderate the Edmonton Truth and Reconciliation Commission meeting. He has covered eight Olympic Games (including the recent Sochi Olympics), numerous world championships, and the 2002 Commonwealth Games. In 2015, The Walrus Talks will be held in Calgary, London, Winnipeg, Montreal, Edmonton, Ottawa, Toronto, Halifax, and Victoria. They will address themes including vice, creativity, the Arctic, the animated city, the Aboriginal city, being human, play, and water. The Walrus Talks 2015 will feature more than 100 speakers from all walks and from across the country. The Walrus Talks are sponsored by forward-thinking members of the private and public sectors whose support enables the Canadian conversation and encourages dialogue on a wide range of issues.